The Firebreather Challenge is coming back for the Month of August! Firebreather STARTS this Monday. It will run from July 28-Aug 23. 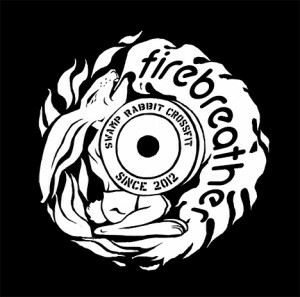 If you can breathe fire, you will receive a new exclusive Firebreather Tshirt and a $25 credit to your account to be used towards any items in the fridge or pro shop only. 1. Attend at least 5 scheduled classes per week for 4 weeks at Swamp Rabbit CrossFit(July 28-Aug 23). 2. You cannot attend more than 3 consecutive classes Monday- Sunday. Week starts fresh on monday. example-Working out M-TH with no rest is not allowed and will disqualify you. 3. You cannot participate in multiple classes per day. Specialty classes do not count. Can you stand the heat? We will be celebrating the Firebreather Challenge and each other with an Adult only Pool Party on Aug 23!!! Stay tuned for more details.